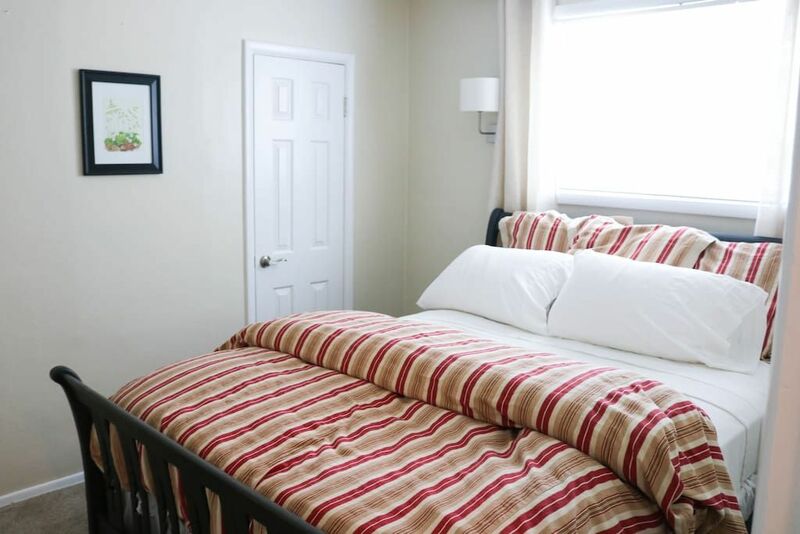 Indiana Inn #1 is a light filled, ground floor unit freshly updated and decorated. •Brand new queen bed with Pottery Barn linens for sleeping. •Updated bathroom with full bath tub •The kitchen features a large dining area and updated kitchen. All spaces are private apartments with shared laundry facilities. French press or small drip. Fully stocked kitchen. Everything except a automatic dishwasher.